Lorne Daniel’s recent piece on churches in urban environments is timely and relevant. Urban planners have been busy in recent years, working hard and creatively to make city centres more livable places. The mass exodus to the suburbs in the latter half of the 20th century certainly took its toll on downtowns. But suburban life itself proved to be surprisingly sterile. Not to mention, impractical. Communities where people use their cars instead of their feet are increasingly unaffordable and already losing their allure. Places where people must go out of your way to get to know their neighbours will not be satisfying for long. When a wage earner’s residence is a long way from her work, community suffers. Not surprisingly, downtowns are making a comeback. New populations are crowding in on those who never left and those who inhabit the business districts during the workday are realizing that even districts devoted to commerce are more congenial when people actually live there. So the new urban planners are taking the humanizing aspects of neighbourhoods more seriously into account. 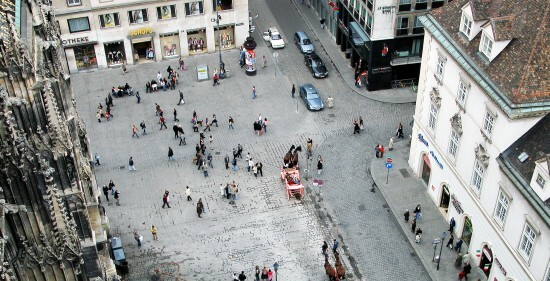 They are promoting the concept of “human scale” communities where, for example, “walkability” is important. It’s easier to create a healthy, vibrant community when every home is within a short walk of access to public transit, a shopping centre that supplies basic goods and where residential and commercial forms of land-use share the same space. But many municipal governments and business communities who are working long and hard to bring renewed vitality to urban centres are failing to pay proper attention to a primary resource already standing in every city. Faith communities are there, and many are already enormously active in the effort to renew downtowns. Churches, they argued, contribute to the welfare of the city in at least five distinct ways. First, they grow community. Churches are places where social boundaries can be overcome. They do this by providing spiritual sustenance and moral instruction to people of all classes and generations, races and ethnicities. Church doors are open to any who choose to walk through them. Churches are also places that promote community service. They pointed to Hughson Baptist Church in Hamilton, which actually required its staff members to devote 10-15 hours per week serving in the community. And many of the social services reaching needy people are already linked to faith-based institutions or staffed by faith-motivated volunteers. Food banks, women’s shelters and school lunch programs are just a few of the many opportunities where churches are serving effectively. Van Pelt and Greydanus went on to observe that churches are helpful in attracting people to live downtown. Those places of worship that did not relocate to the suburbs were re-aligning their programs to address the needs of the population nearby. Beyond that, churches were sometimes able to draw private investment to support their work in the urban community. Donations to churches were channeled to provide the kinds of services that help to build healthy communities. Municipalities, business and faith communities need to realize the strategic value of involving religious communities in urban renewal. “Wherever active and growing church can be found,” says Van Pelt, “there can also be found seeds of urban renewal and economic growth.” Good church promotes human flourishing, even in the urban environment. 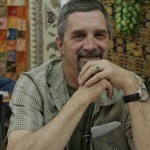 Doug Koop is a Winnipeg-based writer and spiritual care provider.